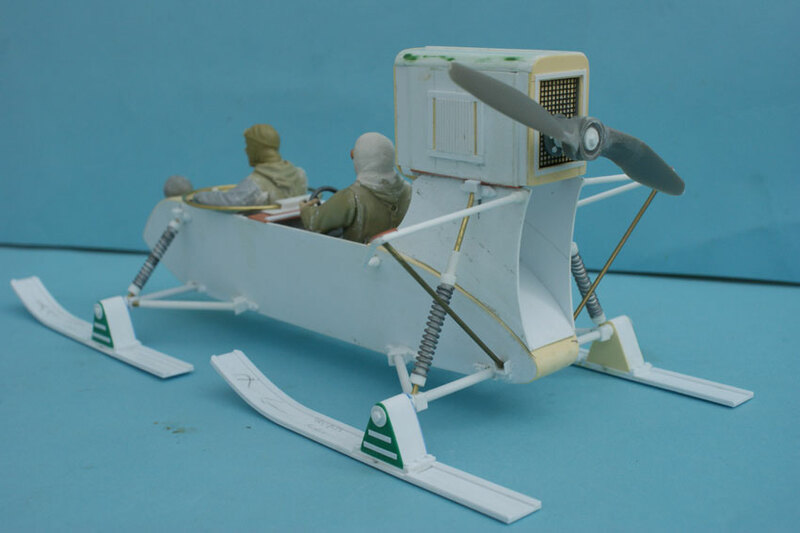 This was another model built for American Roger White, a keen collector.He sent me a 1/35th Kirin kit of the aerosan and although I had heard of it, I had never seen one.I started with the main body tub from 20, 30, and 40th card, the engine box was from 40 card with strip sections back and front and some netting fitted for the grill, two shaped pieces of 40th card were then made and fitted to the engine and the whole assembly mounted in position. The main lower axle arms were from 1/8th tube with brass rod inserts, the side lower arms were then added using the same method and fially the top arms with the suspensions from solder wire wound to shape and glued in place.The 4 skis with mounting blocks were made from various card and strip and left loose. 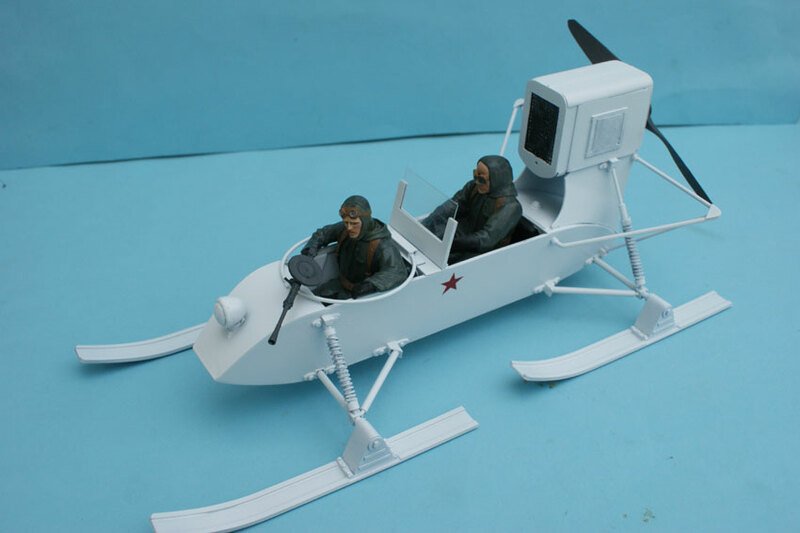 The 2 figures are Germans in winter uniforms with lower bodies from Tamiyas KW drivers and the seats from Das clay. The M/G ring is from brass rod and the Russian M/G altered to fit, lastly the prop is a bought item from a R/C shop. The whole thing was painted in grey primer and finally sprayed in matt white.